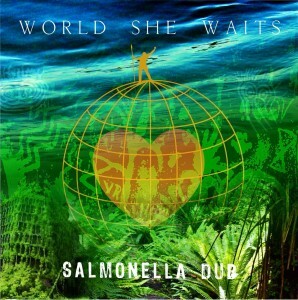 Salmonella Dub has dropped a ‘best of’ compilation album in Australia, having recently celebrated 25 years in the music industry. Salmonella Dub are an ambitious New Zealand-based band who’ve been named the pioneers of a unique Pacific style of dub, reggae, hip-hop and groove-based rock. 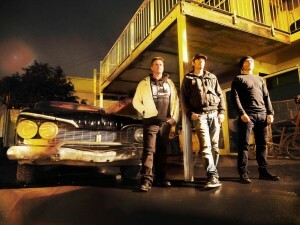 They’ve toured successfully across New Zealand, Australia and Europe. The album, Commercial Grates, features 30 radio cuts spanning over their quarter-century career, including tracks which have not previously been available for digital download. Their songs feature on their YouTube channel and Soundcloud. 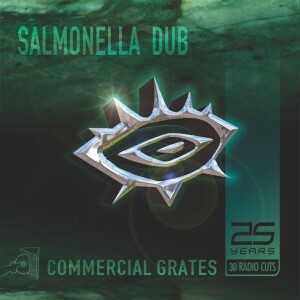 I spoke with Salmonella Dub about their music career and the release of Commercial Grates. Q: Where did you get your start in music? Where did the name of the band come from? I remember ringing Dave Deakins from the West Coast in 1992 and telling him that we were forming a band called Salmonella Dub. We had the same musical interest in pursuing dub-infused bass music. This was after playing together in bands like the Golf Course Alligators. I saw a niche had been created with the change in liquor license laws and we thought we could break the ice with (what we considered ‘bad taste’) covers played in a dub style, hence the name Salmonella Dub. A classic in our set back then was Fred Dagg’s Larry loves Barry. Our first gig was with Excellent Soul Therapy (great band) at the Westport Racetrack in 1993. Awesome gig. I organised a tour up the cost into Takaka and Nelson. Q: Describe a typical day-in-the-life at a recording studio. I finished a 15-hour session in the studio at 4am this morning. We have a very collaborative process. There is no ‘typical’ day. Some days are extremely productive and exciting, while others are laborious days of cutting and filing. The key for us is to allow everyone the chance to throw something at the musical canvas, and then mould a draft arrangement, which creates a heap of editing. We are on the exciting end of developing arrangements and that is going swimmingly well. We are at the exciting point and are on track to finish this next album by mid-year. Q: Which artists have inspired you the most? There are so many. We were teenagers in the early 80’s so there were many punk bands that lead us to discover reggae. Alongside The Ruts, The Clash, and The Specials there were New Zealand and Aussie bands that had a big impact. By the time the 90’s arrived, we were listening to a lot of OnU sound; Tackhead and African Head Charge, and also hip-hop like Public Enemy and the Beastie Boys. This led us into the early jungle scene and onto Drum and Bass, LTJ Bukem, Doc Scott, Dillinja, and Jungle Bros, for example. On top of that, we have a background in classical music and big band jazz; anything goes (but maybe not country)! Q: What is the oddest fan encounter you have experienced? A guy in Wollongong wanted to fight us because we refused to say “fush ‘n chops” (fish and chips). I might have wound him up by suggesting that Aussie rules would be far more entertaining if each team could have two Kangaroos on the field. It didn’t go down too well! Q: Do you have a favourite track within your ‘best of’ compilation? Which is it and why? My favourite track currently is World She Waits. It’s a heartfelt collaboration with Nino Birch, who was in seminal New Zealand band Beat Rhythm Fashion. World She Waits is a nod to Indigenous land rights. We wrote this track with Nino after the New Zealand music awards declined to let Beat Rhythm Fashion perform our tune Drifting at the award night last year. We were offered a legacy award but turned it down on principle. Apparently, Beat Rhythm Fashion (a post-punk 80’s band who influenced us) were too obscure for the TV audience. No biggie, we are only 25 and I politely told them if BRF weren’t allowed to perform, we weren’t coming -but we are open to reconsidering the induction into the hall of fame in 2043 when we turn 50 ;). Q: How has the new album been received so far? Commercial Grates is our version of a ‘best of’. We make tracks for albums first, so many of our full arrangements are six to nine minutes long. Over the years we have learnt the art of cutting album length arrangements down to a 3-4 minute radio edit. Commercial Grates is a historical anthology of 30 of our radio cuts, many of which have not been available online. We have included the cheeky metaphor of a cheese grater in our artwork. The running gag is “we cut the cheese out of album arrangements to release for radio”. Our audience’s response to this has been awesome. The new album will be out later this year, and to complete our 25th birthday celebrations this year we are planning to release a box set of our full back catalogue with 10 x 12” vinyl albums. Q: What is a barrier you have faced in your music career so far and how did you overcome it? Aotearoa (New Zealand) is so far away from bigger world markets. Through our days of touring in Europe and the UK, we quickly realised our limits of being on the road and how expensive it is for us to market our music to an audience that is so far away. We have overcome this barrier by staying home (check out the That’s What I Want on Commercial Grates). Drummer and lead vocalist, Dave Deakins, sings a very heartfelt Pleased to Stay Home. In saying that, we are stilling heading out a bit but on our own terms. Q: What advice would you give to aspiring musicians? Keep your feet on the ground. Make sure you have more than one career path. Music should be for the love of it first and foremost. Oh, and if you sign up to a label and get an advance remember it is recoupable, at which point you will need to pay tax. Keep a buffer! Above all else have fun and be creative.